The King's Indian Defense was already discussed in previous postings. It is a hypermodern opening, where Black deliberately allows White control of the centre with his pawns, with the view to subsequently challenging it with the moves ...e5 or ...c5. 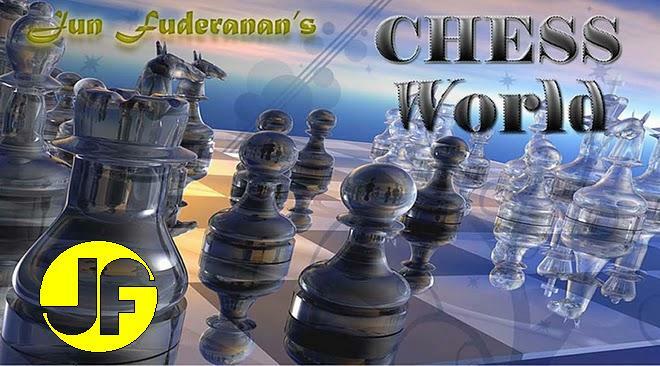 It is a dynamic opening, exceptionally complex, and a favourite of players such as former world champions Garry Kasparov, Bobby Fischer, and Mikhail Tal. The normal continuation is 4....d6. Fischer decided to complicate the opening in order to break loose White's central pawn structure. An odd move. It does not help White in any way. It even imprisoned his own Rook! Black's position is unassailable after 14. fxe5 Nxe5, 15. Nxe5 Bxe5. White loses if he takes the Queen (24. Kxf4 Bh6+ mate). If 24. Kf2, then 24....Nd4, 25. Qd1 Ng4+, 26. Kg2 Ne3 double-check, and Black wins.